Torah provides a Way for non-Jews. This Way is known as Derech Noahide (the Noahide Way or Path) of the Sheva Mitzvot B'nei Noach, the Seven Noahide Laws. YOU already have a Covenant with Most High! You just need to embrace it. 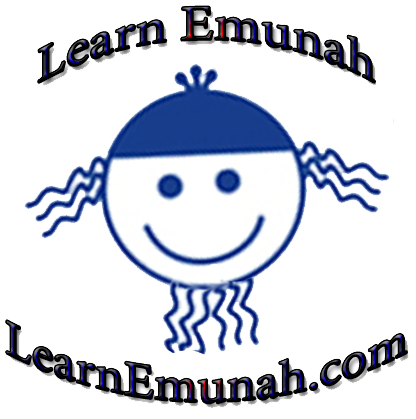 For those born of a Jewish mother the recommended Derech is Judaism. For those not born of a Jewish mother the biblical path is the Seven Law Covenant (known as the Sheva Mitzvot B'nei Noach) established with all of humanity. Some Noahides decide to seek formal conversion into Judaism, others are happy to abide in Derech Noahide. While conversion to Judaism is not required, we can assist you in this with through our House of Seven Beggars if you are interested. LIVE Broadcasts Each Thursday at 8PM Eastern! Fellowship and education are as vital for Noahidim as they are for Jews. Everyone is invited to attend the online services and classes of our http://sevenbeggars.com/> House of Seven Beggars on the Keruv Media Network and to everything I offer at LearnEmuna.com, my Facebook offerings, etc. We are here to help not to judge! "Does That Apply To Me?" Keys to Noahide Torah Study. What Are The Seven Laws and Are They Biblical? And On YouTube AND On YouTube. The Seven Universal Laws One by One With Rabbis Shlomo Nachman and Aryel Nachman and Shlomo. The Seven Noahide Laws As Practice. 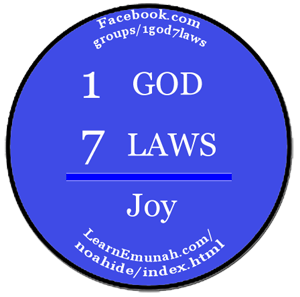 The Seven Noahide Laws with Rabbis Shlomo Nachman and Aryel Nachman. Why is it so difficult to convert to Judaism? : A question for those considering conversion.